Season the chicken with a drizzle of olive oil, salt and pepper, place onto a line baking sheet and roast for about 45 minutes until the skin is golden and the chicken is cooked through. Cook the bacon in a pan or in the oven until crisp. Drain excess oil on a paper towel. Break into smaller pieces. Cool the chicken completely then cut the meat off the bone and dice. In a bowl stir together the diced chicken, celery, tomato, red onion and mayo. Season to taste with salt & pepper. Make a bed of chopped romaine. Cut the avocados in half, removing the pit. Squeeze on some fresh lemon juice to prevent browning. Season with salt and pepper. Place on the lettuce. 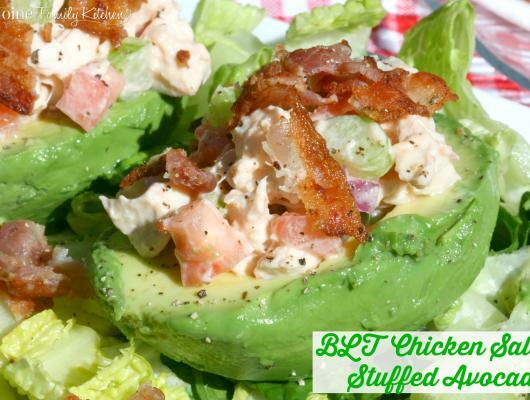 Fill the avocados with the chicken salad and top with the bacon. 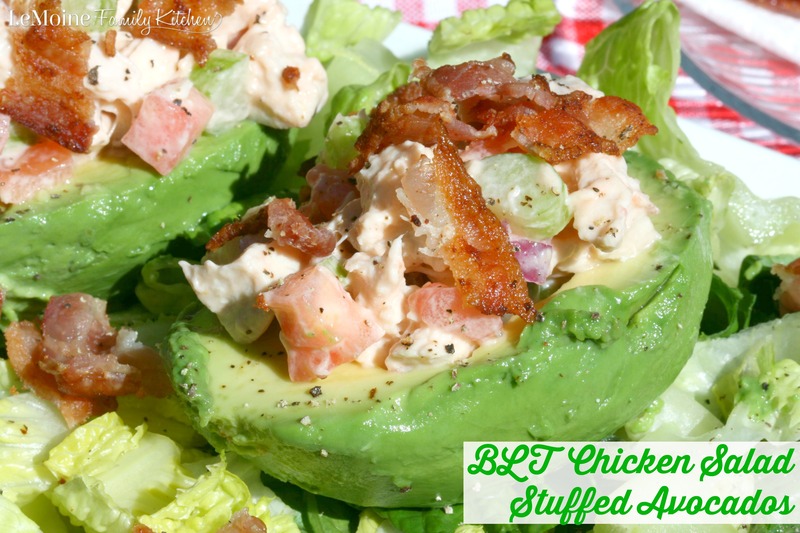 BLT Chicken Salad Stuffed Avocados! This right here just may be my new favorite lunch or light dinner! I have an obsession with anything avocado so right there I am in but then go ahead and add a chicken salad thats all topped with crisp bacon… DROOL!! !